See your data in a completely new light! 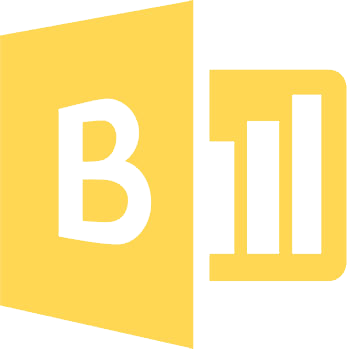 Microsoft Power BI is a cloud-based suite of business intelligence tools that will help you analyze and view data through compelling visualizations and interactive reports. All of your critical applications and databases stream into one dashboard, where you can easily create, update, organize and share powerful reports on any device. Get actionable insights in real-time to give you a competitive advantage. We'll design and build reports and dashboards customized to your specific needs. Our developers will create API connections to your data sources, enabling you to pull data from all relevant sources and create a holistic view of your business. We offer a series of hands-on workshops, where we provide high level guidance and technical support, as well as Power BI best practices, to ensure user adoption. In this success story, see how New England Federal Credit Union gained insights into their customers needs by working with Aerie Consulting and offering Power BI to it's employees. A fresh, new approach to data analysis that enables you to pull from and aggregate multiple data sources with ease. Better insight into business metrics. Spend more time revealing insights and developing your strategy than you do pulling data. Creation and deployment of a PowerBI Dashboard and report to more easily share data and insights. Secured approach to reporting on your data source(s). Trained Business Analyst and Report Writer for your organization, capable of creating future reports. We work collaboratively with clients to ensure business objectives are met. Our solutions focus on working closely with team members in a series of workshops, making sure they have the skills and knowledge to manage PowerBI solutions for your company. We offer the following workshops to provide users a deep understanding of how to support business objectives through optimized reporting and infrastructure. Make the most out of your Power BI service through our hands-on workshops, tailored for your organization's specific needs in mind.